Winter Aconite like to bloom in the sunshine. They don't mind the cold though. These small woodland plants are early risers that often peek up from under a light covering of snow. To take advantage of the bare limbs of the trees above, they rush to flower. Like crocus, the cup-shaped flowers face upward, opening into the sunlight. By the time the tree canopy opens fully casting them into the shade, the flowers have already done their job. The bees have come and gone pollinating the tiny yellow flowers. Little green seed pods begin to appear among the dying foliage. Having set seed, Winter Aconite slips quietly back into dormancy. 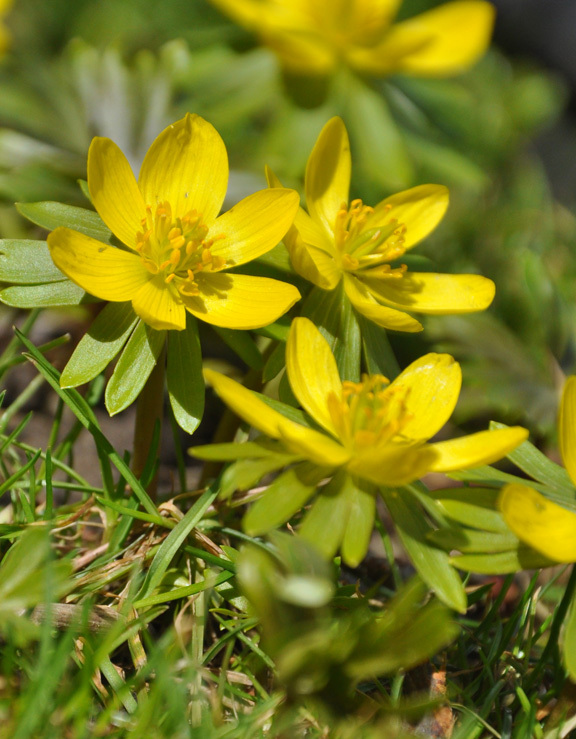 Members of the buttercup family, Winter Aconite, Eranthis hyemalis are native to the deciduous woodlands of the Balkans, Italy and southern France. Short, reddish-brown stems propel the flowers above any snow or leaf litter. Each yellow flower has a fringe of leaf-like bracts. Lobed green leaves emerge to replace the spent flowers. Winter Aconite scattered in a lawn. 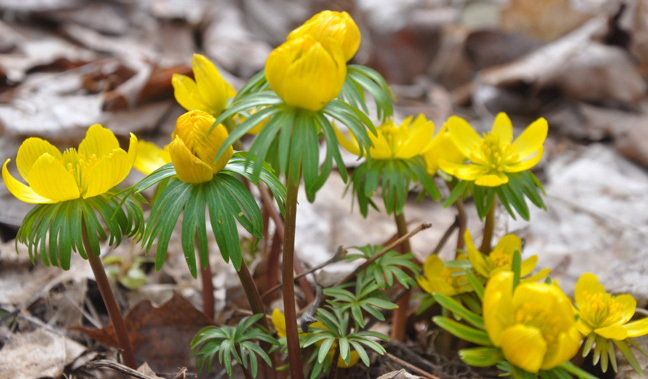 To mimic the natural habitat of Winter Aconite, plant them under deciduous trees or shrubs. One of my neighbours also has them scattered through his lawn. They seem perfectly happy flowering among the fresh blades of grass each spring. A white magnolia provides them with welcome shade through the summer. 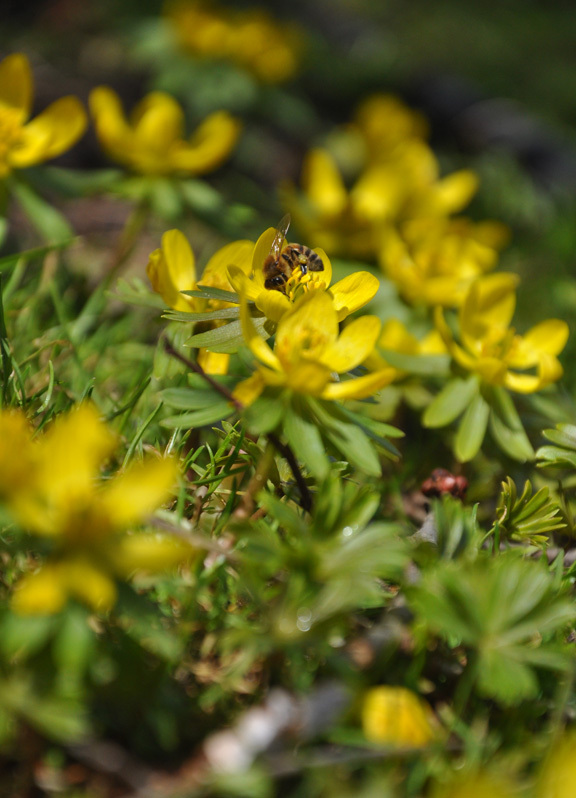 Like most woodland plants, Aconite prefer humus-rich soil. Though the plants go dormant in the late spring, they like to rest in soil that is cool and moist, but well-drained. Their tubers never like to dry out completely. 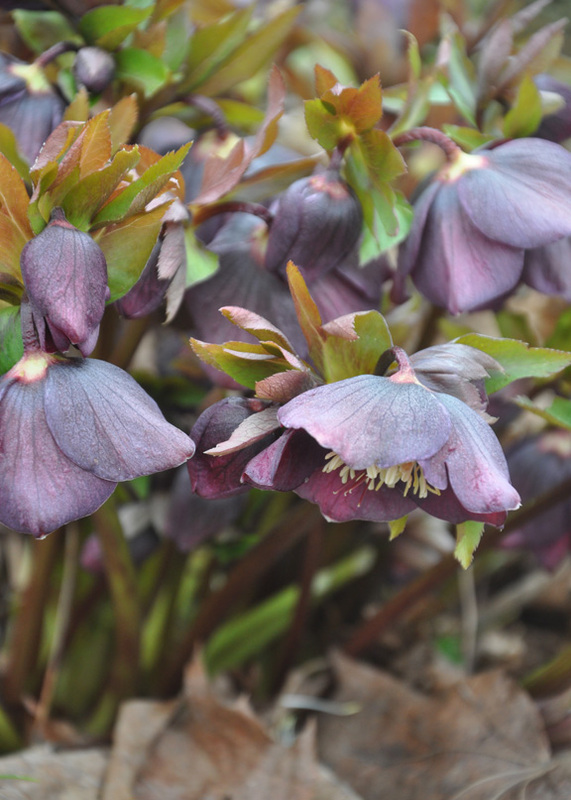 As with bulbs, Aconite are planted in the fall. Soak the tubers overnight in a shallow dish of water and then plant them 2-3" deep and 3" apart. Choose your location carefully. They prefer not to be moved once planted in the ground. 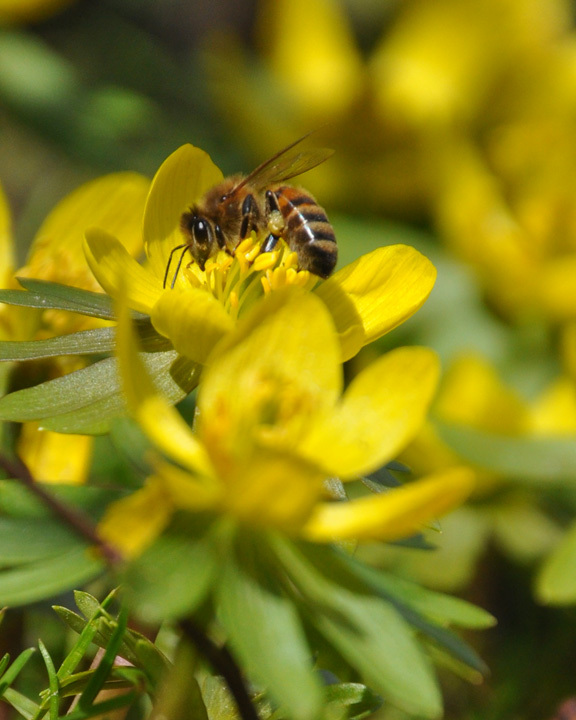 If growing conditions are favourable, Aconite will self-seed and naturalize to form a colorful colony. 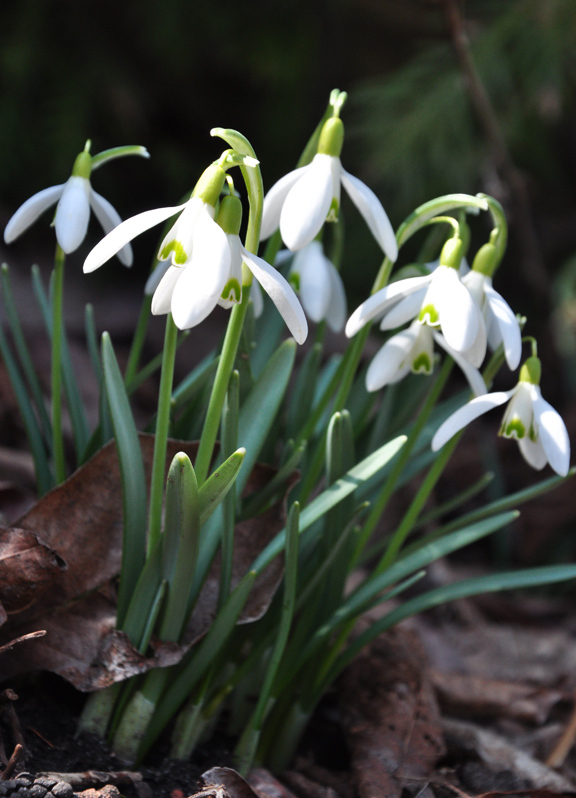 Snowdrops bloom at the same time as Winter Aconites. 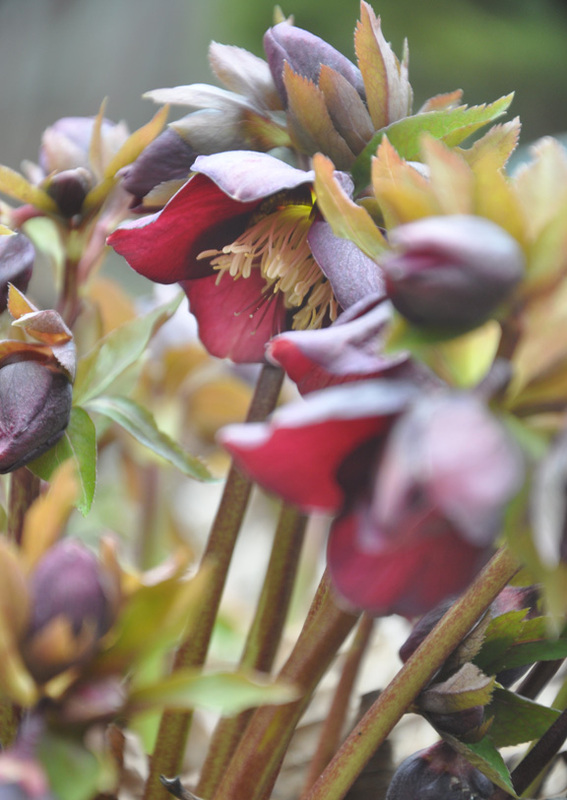 One of my Hellebores blooming in early April. My camera gives me a time stamp that tells me that my Aconites were blooming on April 4th this year. On that same day, I also photographed white snowdrops, iris reticulata, purple crocus and the first of my Hellebores flowers in bloom. Any of these plants would look great paired with Winter Aconites. 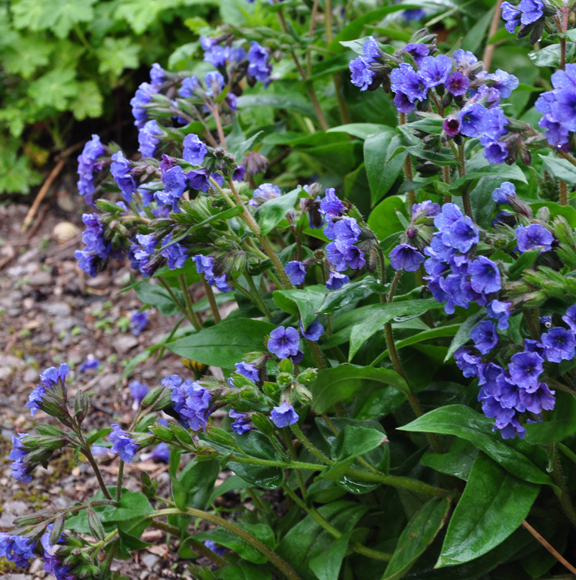 Pulmonaria 'Blue Ensign' would make a nice companion plant for Winter Aconites. 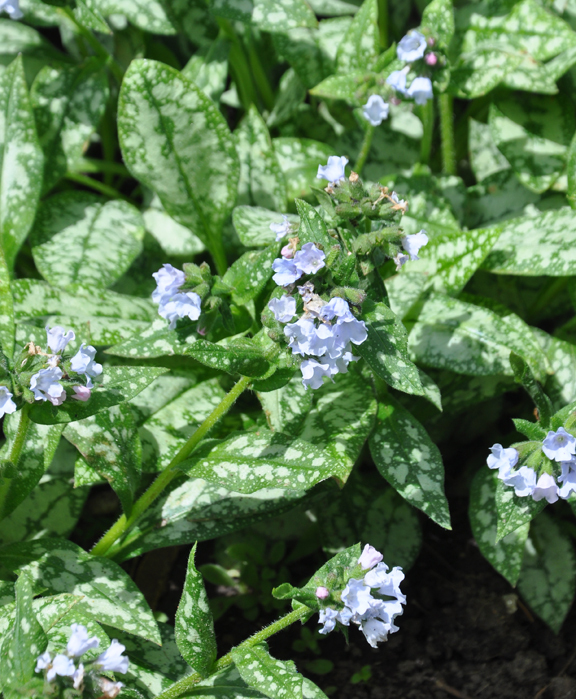 Pulmonaria 'Opal' has pale blue flowers. Lungwort, Pulmonaria is an early perennial that likes the same moist, shady conditions as Aconites, so I think the two plants would also be great friends. An all-blue Pulmonaria like 'Blue Ensign' or 'Opal' combined with snowdrops and Aconites would make for a classic mix of white, yellow and blue. waiting all winter for warmer weather. 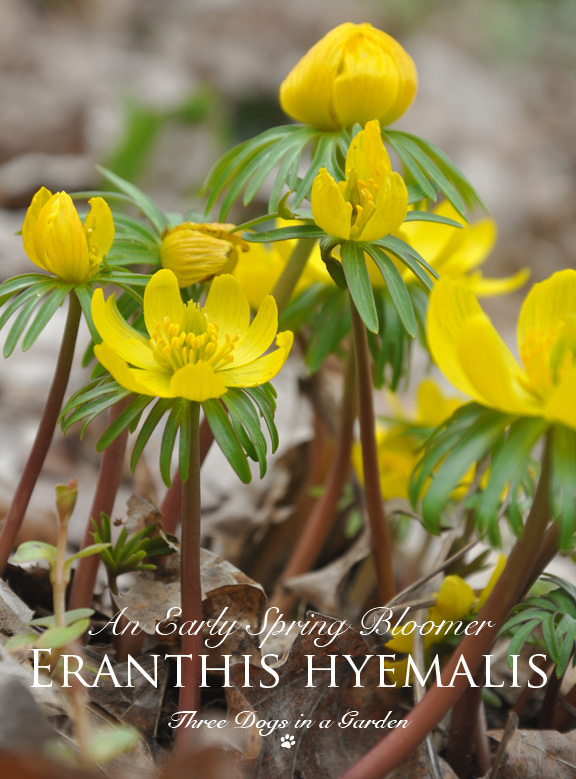 For me, Winter Aconites are a welcome sign that spring has finally arrived. They're a cheerful sight that always lifts the spirits after a long winter. As always, just beautiful, Jennifer. I have never seen Aconites, but they sure are pretty. I like the green bottoms, just as much as those sweet yellow tops. Thank you Lisa for the appreciative comment. I like that fringe of green leaves too. It makes me think of an Elizabethan collar.